Today I just have a picture to show you : a project I started with leftovers from Kaffe Fassett fabrics. Here the blocks are ready to be assembled. That stack of blocks looks yummy! I love your stack!! 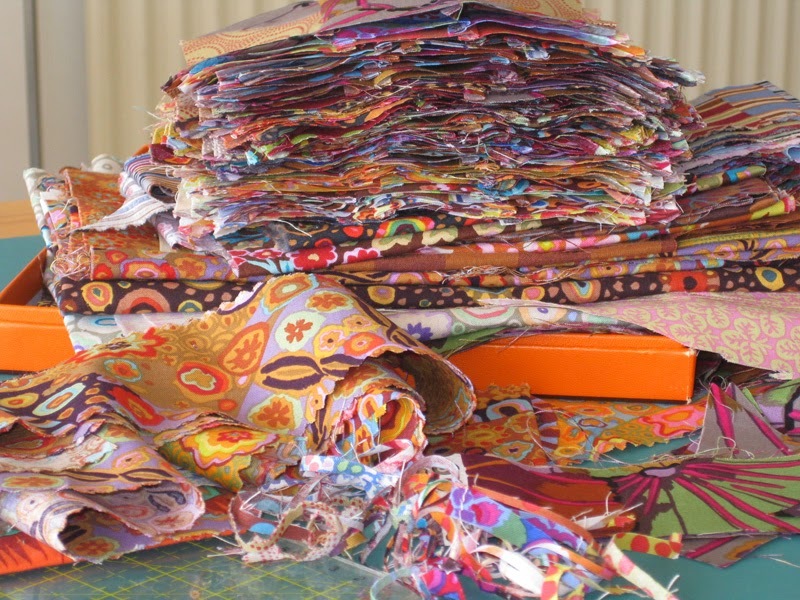 I need to get a whole bunch of Kaffe fabrics.....have you ever been able to just order a scrappy bundle? You know, like when the store just puts ya a "pull" of leftovers together??? Mmmmm... can't wait to see what comes next! Beautiful fabrics. His use of colours is amazing.